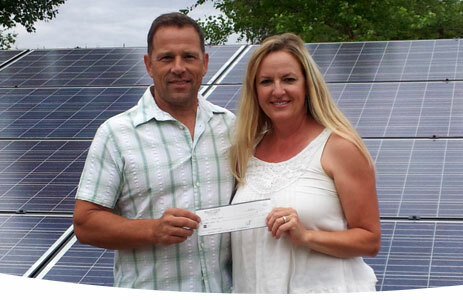 Magic Sun Solar wants your system to not only save you money, but help you make some money along the way!. 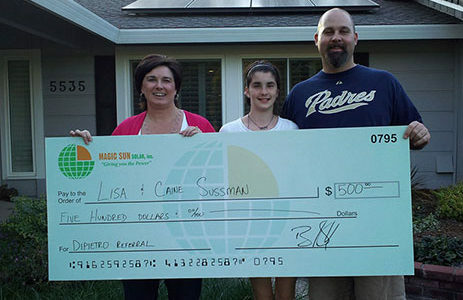 By going solar with Magic Sun you will start saving from day one. Why not share the good news with neighbors, friend and family. 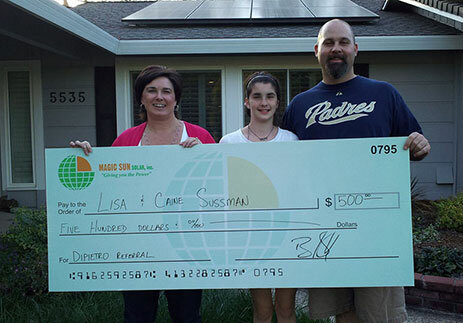 At Magic Sun Solar we feel a referral is the biggest complement we can receive. It’s means our service has exceeded your expectations. Making you happy is our primary focus and if you know someone who we can help in the same way please let us know. Upon successful installation of you referred partner’s system we will deliver you a $500 referral check! The opportunity to reduce or eliminate your electric costs, while increasing your property value, and helping the environment has never been easier. Your friend gets a $500 solar system discount. For every 3rd referred installation we will donate an additional $500 to the charity of your choice! Gather 2 or more of your neighbors at once for an additional group rate discount. Call for more details.